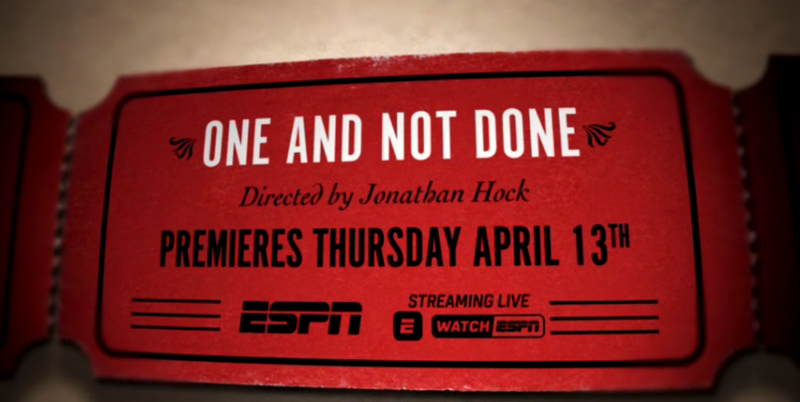 My latest project with director Jon Hock is a 30 for 30 ESPN documentary called ‘One And Not Done’. It airs tonight on ESPN 9pm est. Hope you can check it out! Thanks to team Morales for the help on this one!